If you've ever heard someone talk about the Dark Side of the Moon, there's a decent chance they were actually referring to its far side — i.e. the face of the Moon that is permanently pointed away from Earth. 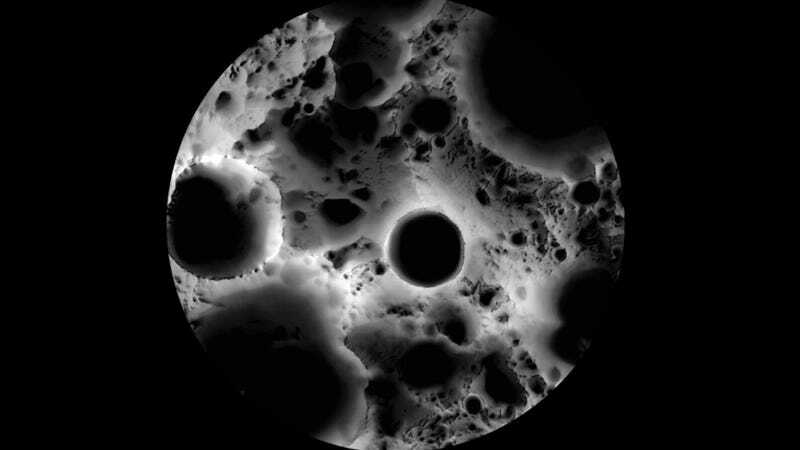 If this was the case, they were actually using the term "dark side" incorrectly; the far side of our Moon actually receives just as much light as the side facing Earth. Having said that, the fact that the spin axis of the Moon is tilted just 1.54 degrees (compared to Earth's 23.5 degrees) means that there are, in fact, regions near the poles that receive almost no sunlight whatsoever (interestingly, it also means there are nearby regions that are almost permanently lit). 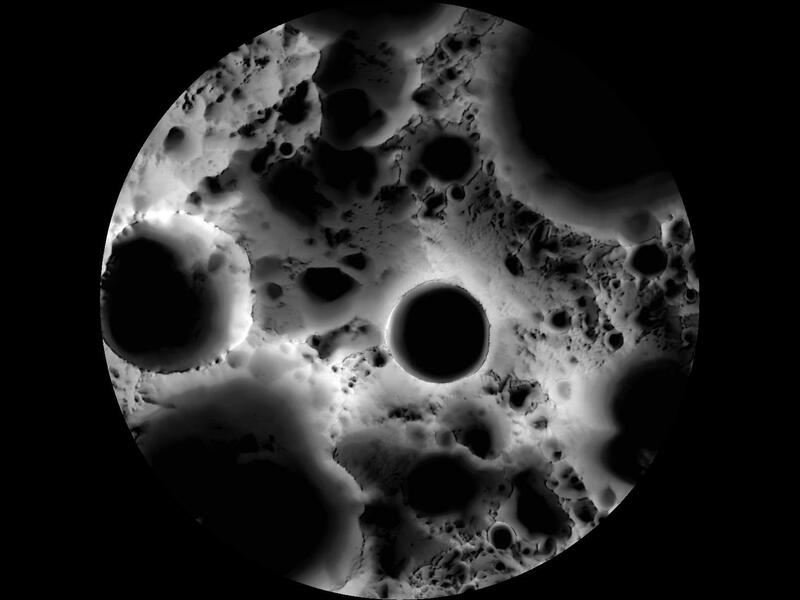 Since 2009, NASA's Lunar Reconnaissance Orbiter has been taking hi-resolution snapshots of the Moon's surface, and one of its primary objectives has been to map these regions of permanent light and dark in what astronomers call an illumination map. Each image was map projected and converted to a binary image [if the ground was illuminated, that pixel was set to one, if the ground was shadowed, that pixel was set to zero] to differentiate between sunlit and shadowed regions. All the binary images were then stacked, and then for each pixel it was determined what percentage of the time during six months that spot was illuminated.